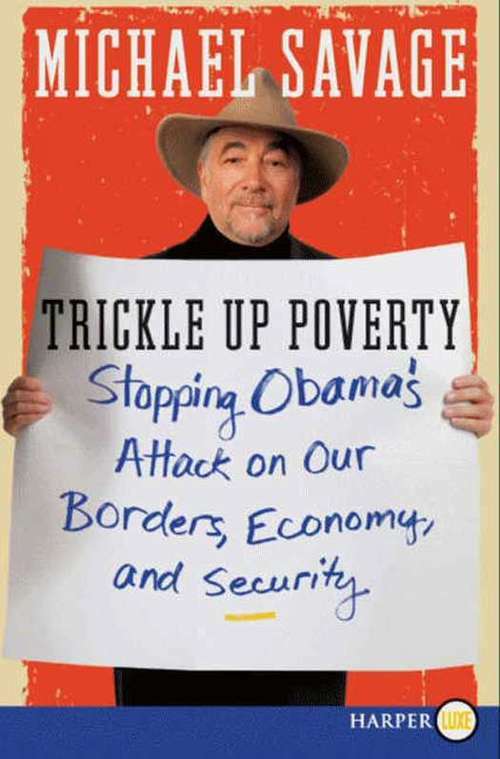 No longer can we be Barack Obama's sheeple and let the American Dream be trampled, beaten, and burned to the ground Trickle Up Poverty, by bestselling author and revered radio host Dr. Michael Savage, is your best defense against the Obamanomics that are dragging the middle class, and everyone else, into a Marxist-Socialist death spiral. The Savage manifesto you hold in your hands shows how Obama is circumventing the Constitution to push through his radical agenda-and, most important, how we can restore our country to the power and prestige that Barack Obama and his corrupt and degenerate "czars" are trying to destroy. The Naked Marxist can and must be stopped. Obama's trickle up poverty is infecting all that we hold to be true and self-evident. Here's how: Impoverishing the Middle Class: Obama's confiscatory taxes, the socializing of our health-care system, and other legislative initiatives are taking away our earnings and our power to choose how we live our lives and putting it in the hands of corrupt and pro-Socialist cohorts. Erasing Our Border with Mexico: The Homeland Security department that can't shoot straight is gutting the Constitution in the name of protecting illegal aliens when it should be focusing on keeping out the terrorists and drug dealers. Defunding the Military and Putting Our Troops in Harm's Way: Obama's beatnik policy of taking apart our nuclear arsenal and destroying NASA, while implementing PC Rules of Engagement that don't allow our troops to protect themselves, is dangerously weakening our security and ending our military dominance. Lining the Pockets of His Wall Street Buddies: While our 401(k)'s suffer, Obama and his Wall Street heavy contributors are creating their own legislation that is driving down stock prices while allowing his biggest campaign contributors to make trillions of dollars. Propagandizing the Media: Once a forum for free speech, Obama's administration has systematically overrun the media in a hostile takeover with threats and false promises that serve only to pull the wool over the sheeple's eyes. Ignoring the Tea Party-the Voice of the People: No longer a representative government, Obama is blatantly disregarding, and even suppressing, the fastest-growing collective voice in the nation right now-that of the patriotic Tea Party. His Union-Crony Purple Shirts have shown up at town-hall meetings and peaceful protests to intimidate and antagonize the democratic process. We are dangerously close to losing the nation we love, but it's not too late. If you buy only one book to learn and react to what Obama the Destroyer has done and plans on doing to America, this is it!